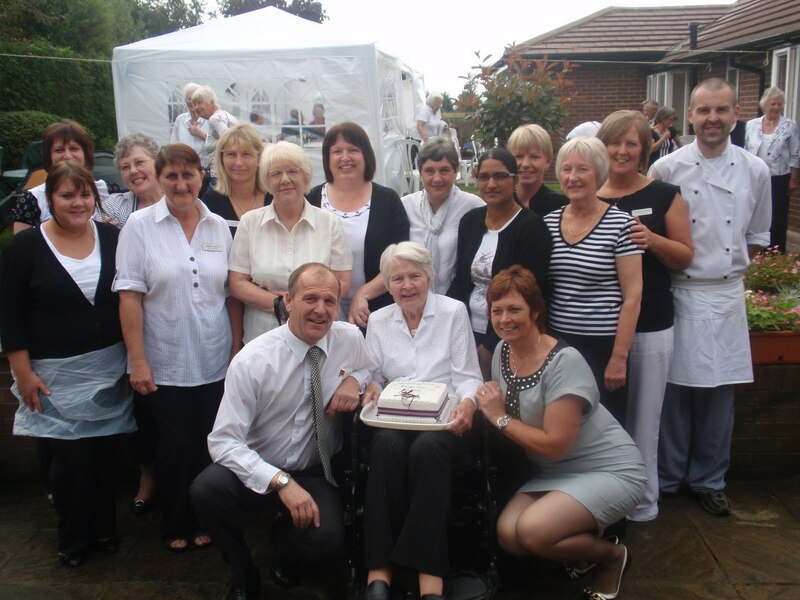 Daniel and Joyce Whaley opened a rest home at GRANGE LEA 25 years ago with seven residents. They did all the work except for night cover. 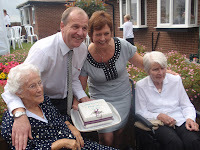 Dan's mother, Margaret, was running the Pele Rest Home in the old vicarage at the same time and eventually they combined when Grange Lea was enlarged to cater for 20 residents, looked after by a team of 26 staff. 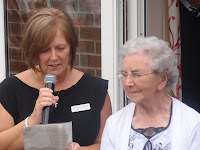 To celebrate this success story a Black & White garden party was held last month when residents, relatives, friends, and former workers all joined in for an afternoon of friendship and entertainment between the showers. Grange Lea is woven into the fabric of the Ponteland community and a warm welcome is given to all in this friendly and caring enterprise, still run by Dan and Joyce. Dan gave an emotional thank you to the guests at the Party and praised his mother and his wife who had carried him through the tough times. 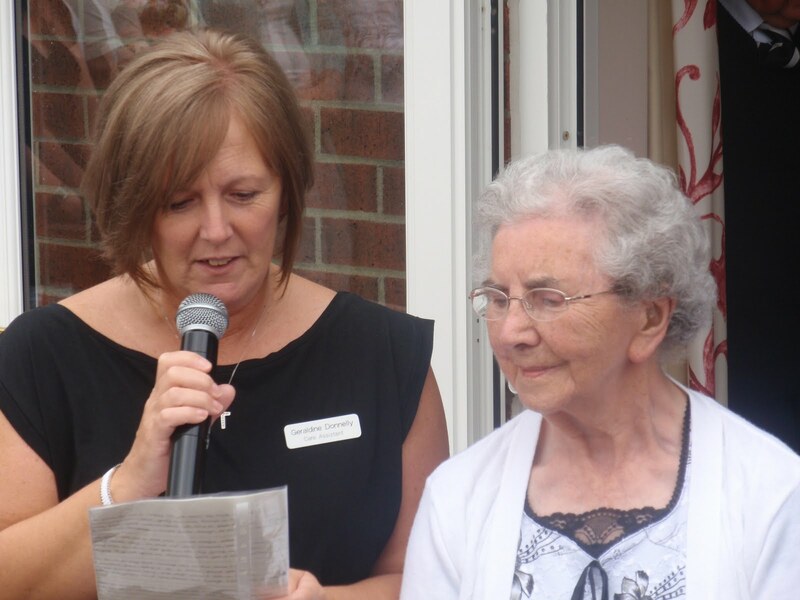 The current and past staff were praised and a poem was read which was written by resident Mrs Stoker and carer Geraldine Donnelly. This is a verse by Mrs Stoker. Well, everybody round here knows that Grange Lea is the Star!